This was my first experience staying at a Beaches/Sandals property and the first time staying at an all-inclusive resort since I was a young child. 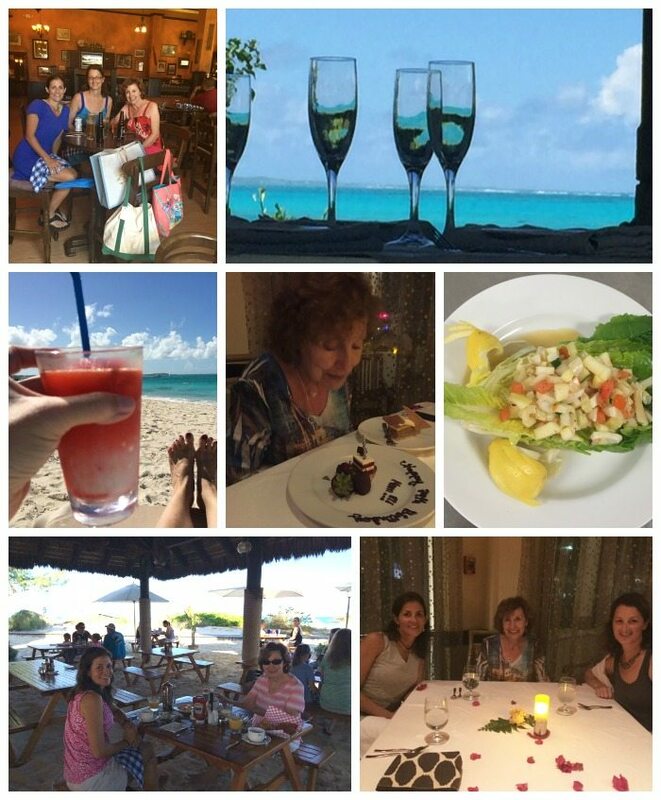 To learn more about all that Turks And Caicos has to offer for a family vacation, check out my first Turks and Caicos Trip post. 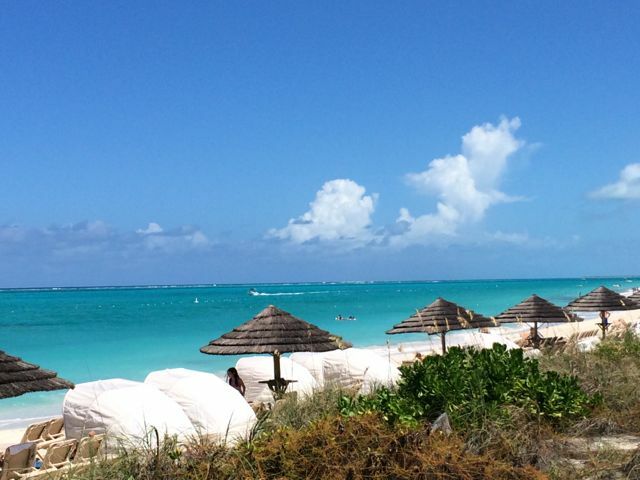 Turks and Caicos is the home to the third largest barrier reef system in the world, and it is considered to have some of the best beaches in the world. 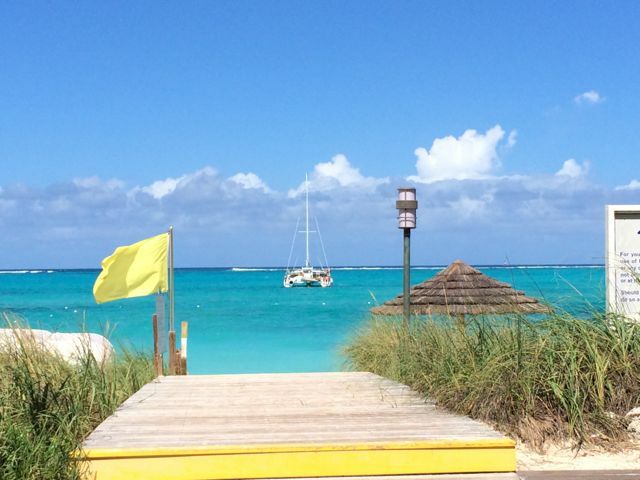 If that is not enough to convince you to book tickets to Turks and Caicos, this hotel might. 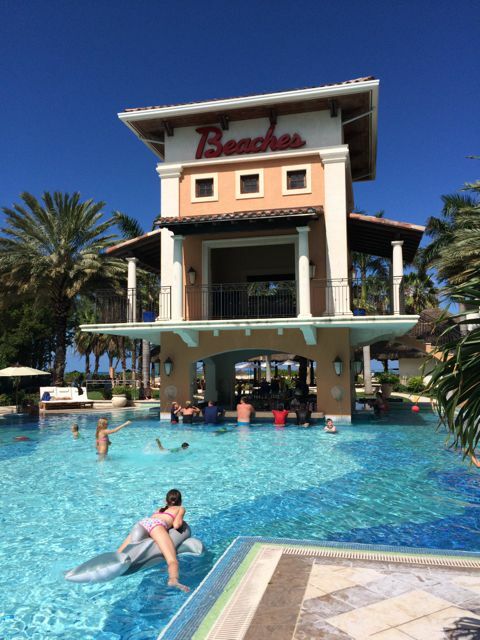 So what exactly should you expect at a Beaches Resort? “All inclusive” can mean a lot of things, but at Beaches Resorts, they really do take care of it all in one single price. For a family vacation, that can make budgeting much easier to manage. When we arrived at the Turks and Caicos airport, we headed to the Beaches Desk and were placed on our included airport transfers (also known as vans that will drop you off at your respective lobby). There are four villages at Beaches Resort T&C, and we stayed in the Caribbean, the original village of the property. We were greeted with rum punch, as they took care of any luggage we did not need until our rooms were ready. It was raining when we arrived, so we were able to grab lunch at a restaurant in the village while waiting for our rooms. Our room was basic with two double beds, a pull out couch and bathroom. There was a small fridge stocked with sodas and water as well. In comparison to the other villages and accommodations, this is the most economical option at the resort, but still a nice way to spend a luxury family vacation. The room suited the three adults staying there (my sister, mom and myself ). After all, if you stay in your room too much, you are not enjoying all that Beaches has to offer! I never was able to view the other rooms, though we did spend a lot of time exploring the other villages. Also included in your stay at this Beaches resort, is all of the food and drink you could possibly devour. From top-shelf drinks to Robert Modavi wines to several beer selections, you could try a different drink almost hourly and still come up with something new. You won’t go hungry at a Beaches Resort either. There are 21 unique restaurants, all of which are included in your price. Unlike the Alaskan Cruise we recently went on, there were no surcharges associated with any of the restaurants. In the four nights we were there, we only hit one restaurant, Barefoot on the Beach, twice because it served an à la carte breakfast literally on the beach. No shoes required here. 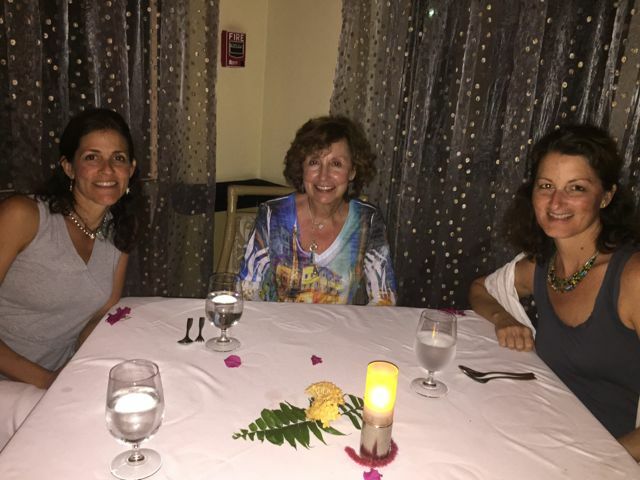 Some of our favorite food spots: Bella Napoli Pizzeria, Soy (sushi), Cafe De Paris, Coffee and Pastures, and an adult only restaurant called Sopodillas. The presentation and service at all of the restaurants at the Beaches resort we visited was great, and most had a kids menu. Most restaurants are walk up, and only two require reservations, Sopadillas and Kimonos (hibachi). Also included in your family vacation package are several water sports, such as kayaking, sailing, paddle boards, snorkeling gear and even scuba diving. I don’t dive, but this is a huge money savings if you do. The water was not cooperative while we were there, so I could not paddle board. However, my sister and I did walk down about 10 minutes from beaches to visit a coral reef with snorkel gear. Need a break from the beach? Head to any of the pools on the property. Even though we were staying in the Caribbean Village, we had access to all of the village pools. You won’t get bored going to the same pool or beach location, as you can mix it up as much as you want. This is one of the best selling points for a family vacation at a Beaches resort. Want a break from the pool and beach? Head to Pirate Island Water Park. You heard me right—a water park with several slides, a lazy river, and splash pads. Even my 74-year-old mother took a few laps on the lazy river. If you’re looking for fitness opportunities, all of the fitness clubs and classes are included in your resort fee. There are several classes and two gyms available to all resort guests. I loved the outdoor studio near the Red Lane Spa. They also have tennis courts, but I did not get there…next time! All kids camps and activities are free as well. They have areas for young children ages 4-8, along with a teen and tween lounge. Since we did not have any kids with us, we did not use these services, though we did sneak in for a quick peek. There are also dance parties for all ages, so I am not sure I would have seen my kids for the four days if they had been with us. 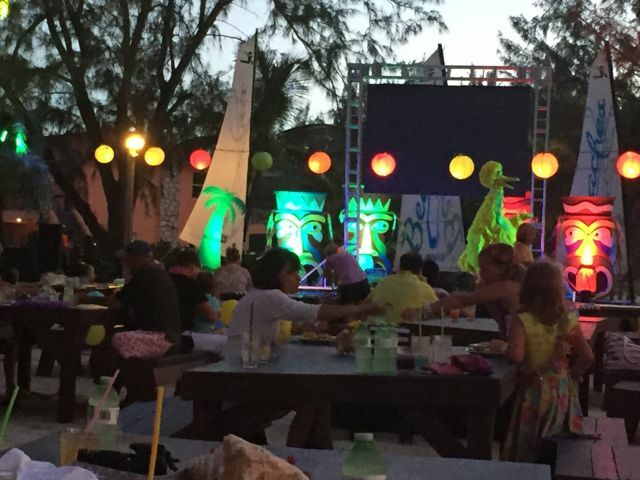 On Friday night, we attended an All Resort Beach Party packed with a Caribbean-style BBQ and fun entertainment, including a visit from Sesame Street. NO TIPPING: Yes, unless you get a spa service or book a room with a butler, there is no tipping allowed. That does free up your guilt of walking around in dollar bills in your bathing suit to tip the towel guy, the maid, etc. Beaches structures their fees to include fees for their employees. 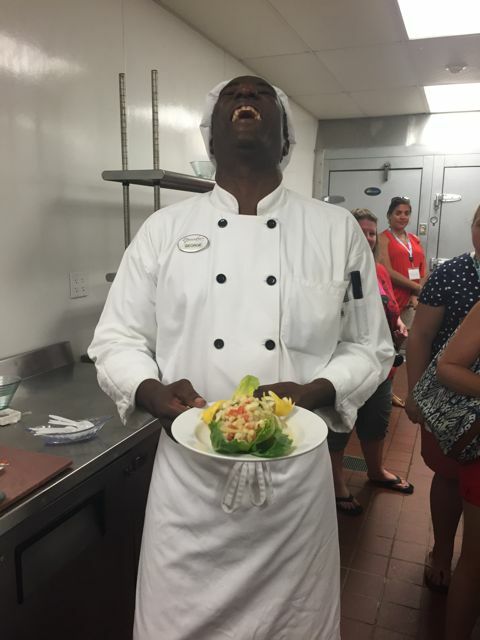 We spoke to many employees, from maintenance to behind-the-scenes kitchen tours, and everyone seemed happy and smiling. If you ask someone for directions, there is a good chance they will walk you to your destination. Heads up: there is a lot of walking if you want to explore the entire property. If you have children that are Sesame Street fans, they will go crazy over the amount of opportunities to run into some of those adorable characters. They have pop-up areas throughout the day with activities for the kids. You must be thinking the Social Media on the Sand Conference is is the biggest boondoggle ever. But I promise: we did have conference sessions, and they were literally on the sand. 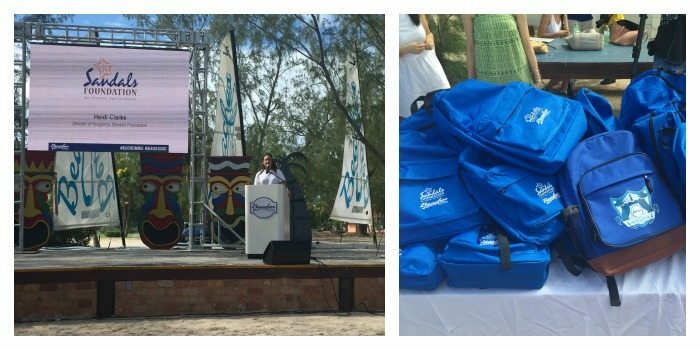 I loved learning about how much Sandals and Beaches resorts give back to their communities with the Sandals Foundation. 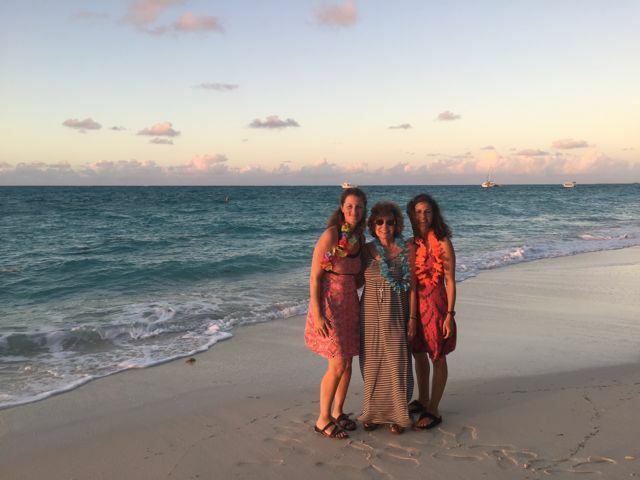 Beaches is a multi-generational family vacation. Grandparents and grandchildren alike will be entertained the entire trip. Even if it rains, which it did during our trip, there are activity centers where you can check out games, a library and several places to play pool indoors. My sister and I found some great spots that were covered, but had an amazing view of the beach to just relax and read books. You might be wondering what is not included in your Beaches vacation? Spa treatments, off property excursions, night scuba dives and souvenirs or sundries at the shops. Our balance when I checked out was $0. I don’t think I spent anything that weekend aside from purchasing food in the airports. 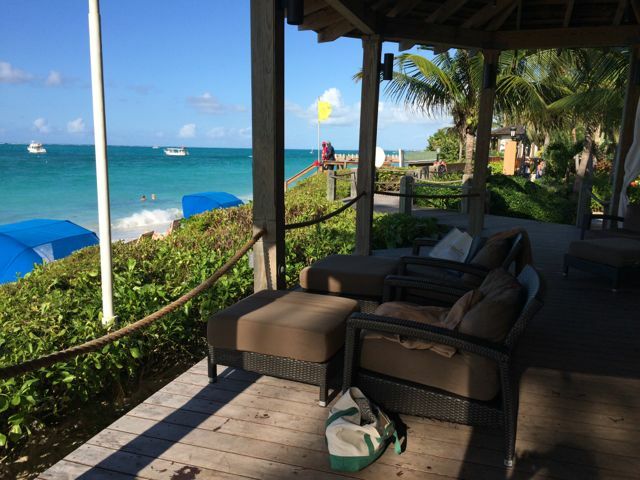 If you are looking for an extremely family-friendly vacation spot, add Beaches resort, Turks and Caicos to your list. The vacation is seamless from the time you arrive at the airport until the time you leave. I know when we travel, my kids can eat a lot and the thought of buying them snacks all days at a resort is expensive. But at Beaches T&C, you don’t have to penny pinch every drink or meal. They can eat and drink themselves silly—it’s vacation right, right? 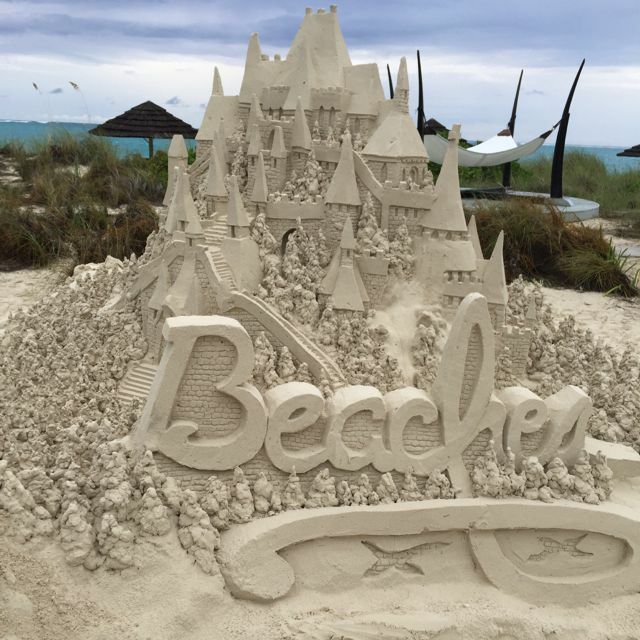 Take our advice and book your next family vacation to a Beaches Resort for a wonderful all-inclusive time you will love! « Brew Your Soup with Progresso #BistroCups! it is thru BSMedia, or moms meet. An application process. Can’t remember when it came out last year. Just the scenery and ocean view is absolutely breathtaking. i would love to stay there. This looks AMAZING!! I want to go to that conference, now do I get involved in that? No wonder you wish you could stay there forever- gorgeous! I love that there are activities (and free ones) for the kids! It sounds like you had a wonderful time. I have never stayed at a Beaches resort but it looks beautiful. Looks amazing. We’re trying to figure out our spring break/school’s off vacay. I’ll have to look into Beaches as an option – looks like its great for the whole family.